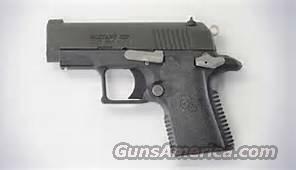 Description: Factory New & unfired Colt Mustang XSP semi-auto SA pistol in .380ACP. # 06790. Compact, small, lightweight and boasting enhanced durability, reliability and accuracy. The precise machining process, use of high quality materials and improvements in design make Colt’s new .380 Mustang-XSP one of the most consistent and reliable firearms on the market. The stainless steel slide and barrel are CNC machined from solid bar stock for precise tolerances. With loaded mag, it weighs less than one pound. Measuring 5.5" long and have a 2.75" bbl. The minimal weight and length, combined with the short single-action trigger, grip designs, frame designs and firing pin safety block make these firearms ideal for personal protection. Features: High Profile Sights. Commander Style Ring Hammer. Solid Aluminum Trigger. Lowered Ejection Port. Stainless Steel Slide. 2¾" Barrel Length. .380 Auto, 6-Round Magazine Capacity. All Black. Mfgr warranty. Box/papers. Please see all terms. Thanks! LAYAWAY price is $670 with PRIOR approval only. 120-days max. FIRST, please send message requesting layaway terms. No phone calls to start layaway process. personal protection, self defense. concealed carry weapon, CCW. ss. sts. poly, polymer.